I know it has been awhile since I have updated you on the kitchen. I figure it is a little more fun to show lots of progress vs a little here and there. We still have a few small things to finish up and one huge item to complete which is installing countertops. 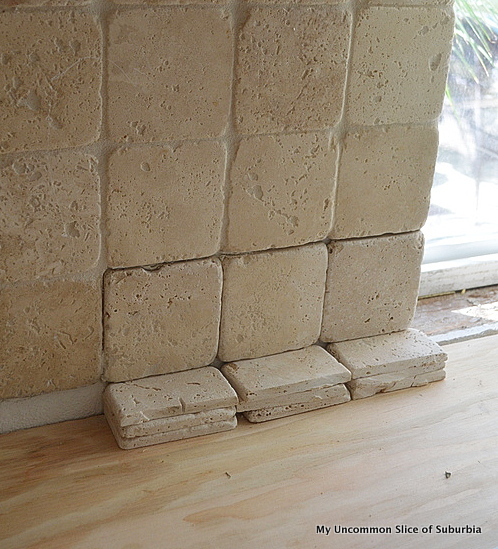 I will give you a countertop update at the end of the post. Since my last post, we have added beautiful hardware from D. Lawless Hardware. Hardware is like precious jewelry for the kitchen, it makes such a big difference. We went with a flat black contemporary pull for the drawers, adding 2 pulls on the larger drawers and 1 pull on the smaller drawer. 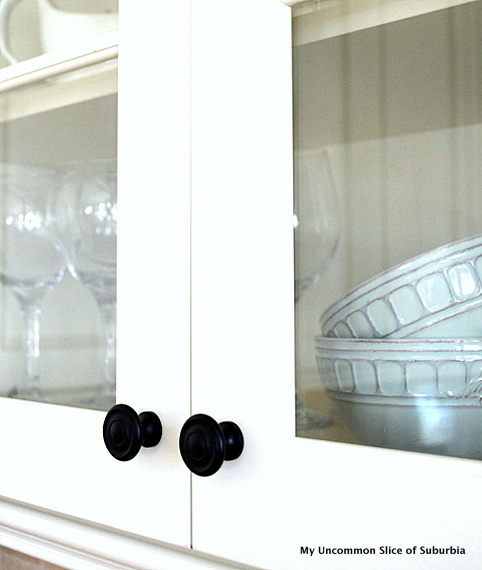 For the cabinets we opted for a flat black turned knob perfect mix of traditional and modern. The quality is absolutely fabulous and the hardware is heavy, you can’t even compare our old hardware to the hardware from D Lawless. I worked with the nicest guy named Derick, picking out hardware is like picking out paint for me, it takes FOREVER. However, he was very patient, sent me pictures and even caught a mistake I had made on measuring, talk about top noch customer service! Having worked with D Lawless there is no way I could ever go back to buying from the big box stores! Thank you so much for making our kitchen beautiful! Finish grouting certain areas of the backsplash that had to be taken out. 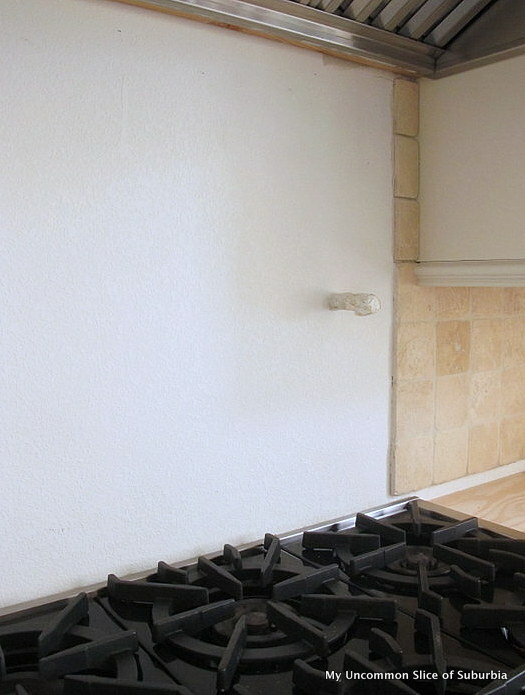 They were worried the mold had crept under certain areas of the tile so to be certain they took the first row of backsplash out in certain areas. Unfortunately, behind the stove we had more mold damage then expected so we had to take this area out. On the bright side we had plumbing installed for a pot filler. The existing island contertop will be replaced with the same material we select for the rest of the countertops. 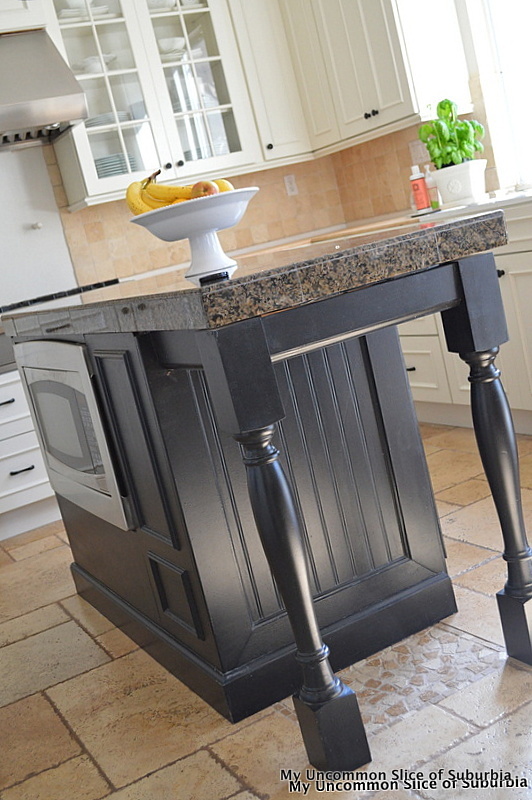 I will be repainting the island to compliment the new countertops. 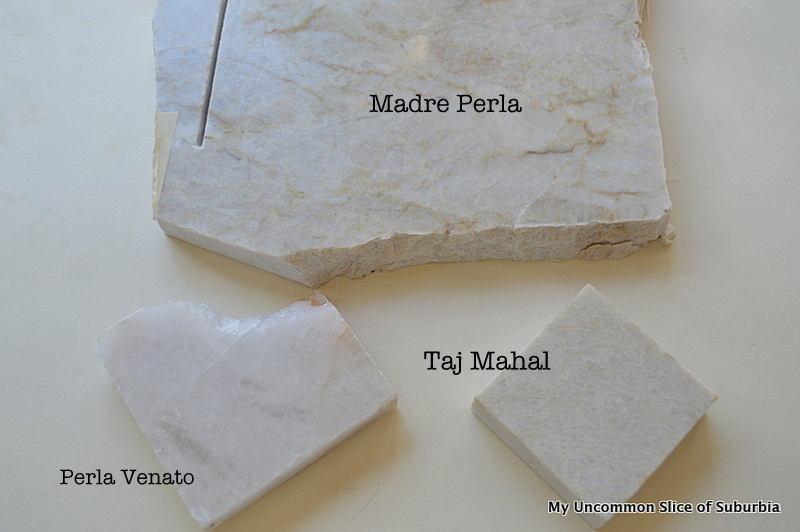 Lastly, we need to pick out a slab of quartzite. It is down to these three colors and I have made countless trips to the slabyards. Because quartzite is a natural stone each slab varies in color and right now many of the slabs are coming in with a lot of gold. In about another week they have more slabs coming in and I am hoping they will be on the beige side. We have come along way and we are almost finished, I can’t wait! Thanks for joining us in this journey. O.M.G., Kristin … it’s gorgeous!! 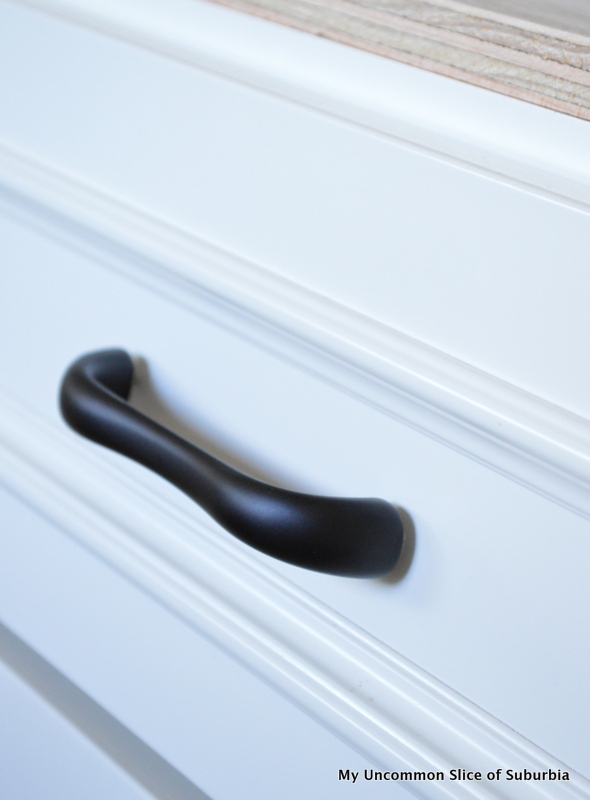 I love everything about it … the new knobs are perfect, too!! I know you’re enjoying it so much … I know I would!! Kristin!!! It is looking beyond gorgeous and the hardware choices are perfect!! So happy for you that you will be able to enjoy your kitchen again very soon! Oh I LOVE your new cabinet pulls and knobs! They are so pretty and make such a big difference! 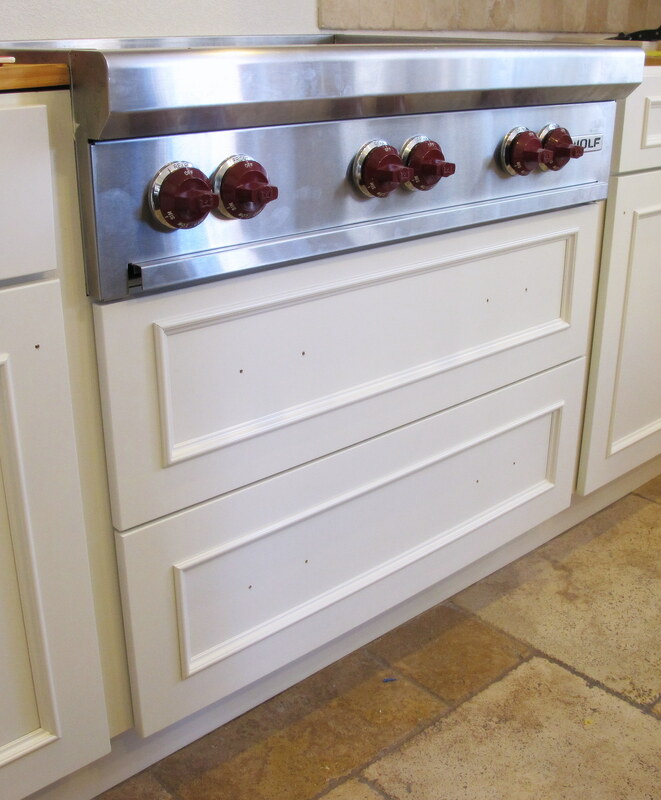 I really need to add knobs and pulls to my cabinets one of these days! I love the matte black! Good choice. It’s coming along beautifully!! So happy for you 🙂 Can’t wait to see the counter top choice. Love it! The hardware is fantastic. It is looking fabulous Kristin! I know you will be so thrilled once it is all completed! It’s just beautiful! Love the cabinets, love it all. I know it’s been a long journey but I am sure you will enjoy the new space for years to come! Your kitchen looks so great, Kristin! 🙂 Love the dark hardware with the white cabinetry! 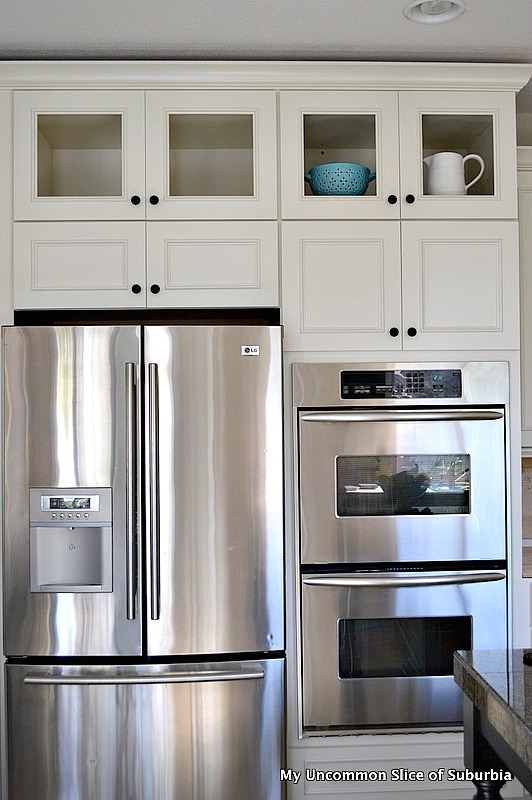 SO BEAUTIFUL Kristin…LOVE the new cabinets…can’t wait for the full reveal!! Kristin, I love the Perla Venato. It is gorgeous! I’m so glad everything is coming along!!! It is so beautiful…I have loved watching your progress! So pretty! You picked great pieces. Everything looks awesome. 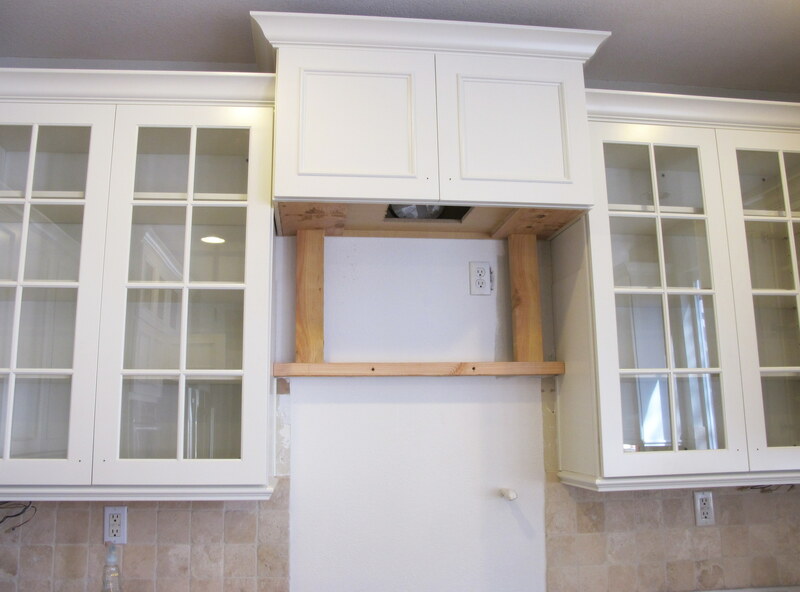 We’re thinking about redoing the kitchen cabinets (just paint and new hardware). I’ll definitely check out the site! It’s looking beautiful! Can’t wait to see it finished! GORGEOUS! Can’t wait for the final reveal! I know you are beyond excited for this to be complete. It truly looks amazing! Making my green side to come out……..”green with envy”. LOL! You have my dream kitchen! 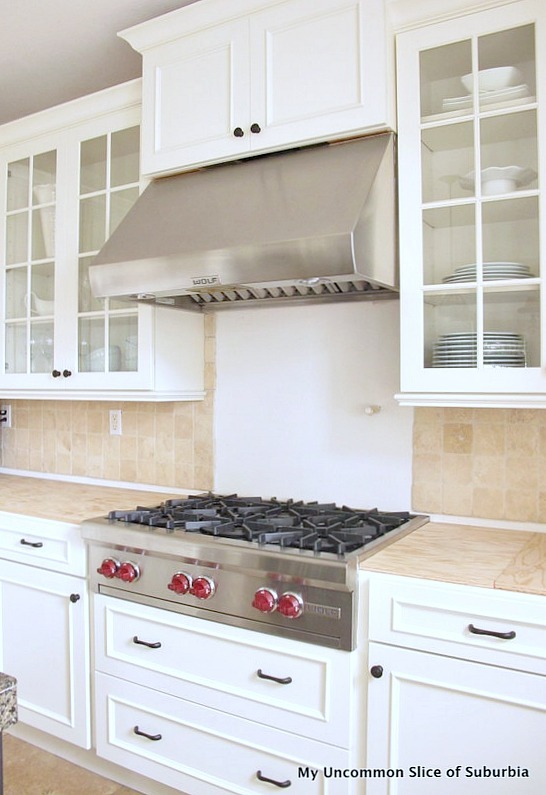 I love the the stove area especially, and the backsplash is so cool. I’m sure you’ll be enjoying your beautiful kitchen for years (and I’ll be pinning it for future reference!). That hardware is gorgeous! I love how clean and simple it is. You have come a long way. It is beautiful. I knew you would do a beautiful job… and, I was right! Bravo… can’t wait to see the counters! Out of a magazine Kristin – like everything you do!!! Oooh! Loving your hardware…gorgeous!! And I’m a bit jealous of your pot filler…awesomesauce! Kristin, I’m so happy for you that your kitchen is almost done!! I know it’s been a long journey but it’s looking beautiful!!!!!!!!!! 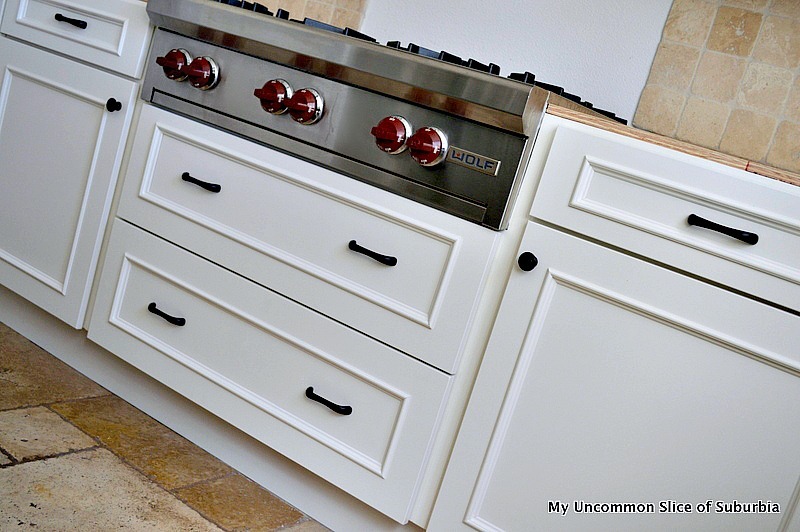 I love the new hardware, the cabinetry, and that fab stove and hood! Can’t wait to see your countertops….fingers crossed the next shipment of slabs is more beige and you find one you love! The new hardware is beautiful, Kristin! Can’t wait to see more. Where did you get such beautiful lighting for over your island? I have never seen anything like it. Lovely kitchen. Thank you Vickie, we bought it years a go when Home Expo went out of business. Oh goodness, wish I could help you out but we bought them as a floor model when the store was closing. They don’t have brand or name on them, so sorry. THank you so much Leslie, how exciting for you and your husband. In our old kitchen (the one we had to rip out because of mold) I have a tutorial on adding glass. You can find it here. 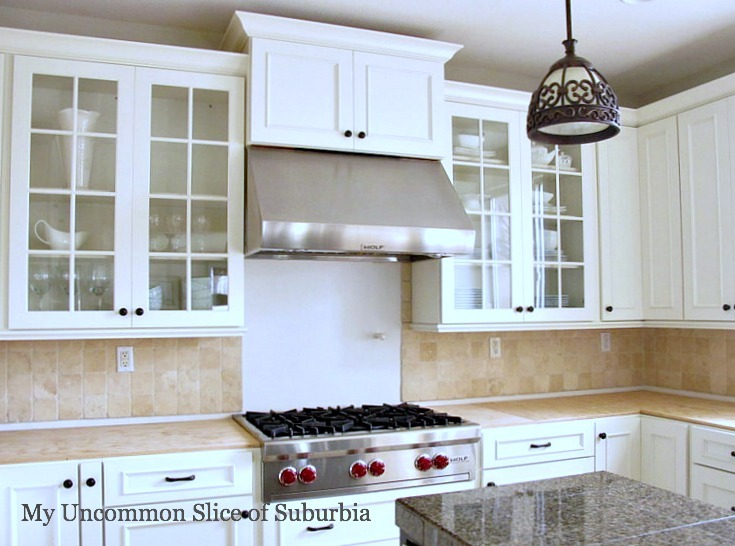 http://myuncommonsliceofsuburbia.com/adding-glass-to-your-kitchen-cabinets/ The only step you would skip is taking out the panel of the cabinet. When you order the cabinets basically just tell them you want it glass ready, they will know what you mean. Let me know if you have any other questions and good luck!